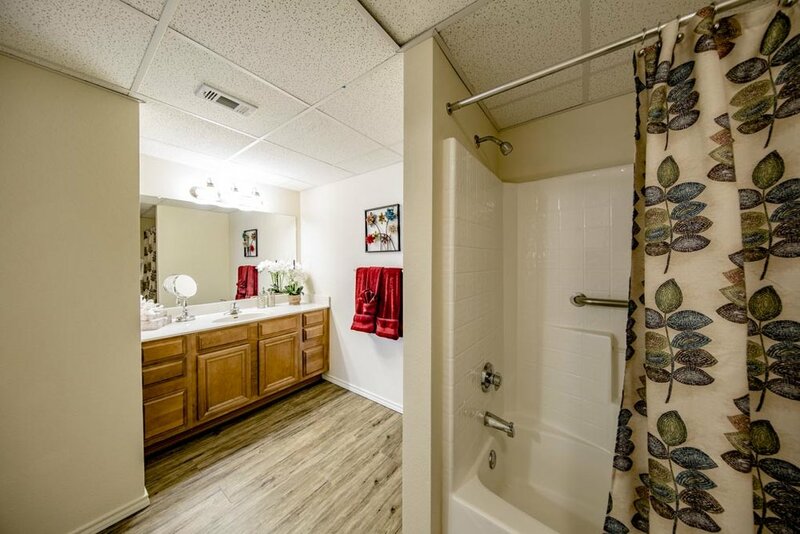 With eight available floor plans, CHRISTUS St. Joseph Apartment Homes offer one-, two-, and three-bedroom options located in the heart of our community. Most feature a first-floor porch or a balcony. Our apartments are spacious, private retreats with the benefit of close access to all our activities and amenities. 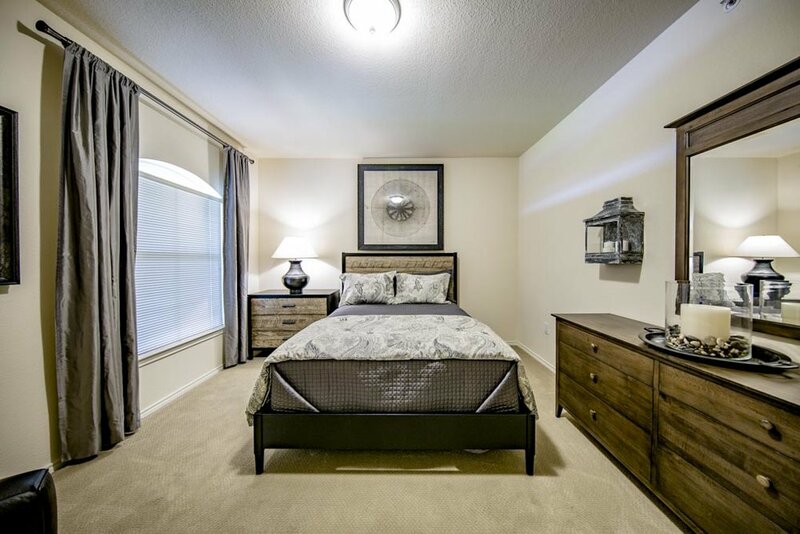 Take a look at one of our many floor plans by choosing one of the links below. The Azalea floor plan offers 629 square feet with one bedroom, one bath (shower), a walk-in closet and a storage/laundry room. The Lily floor plan offers 740 square feet with one bedroom, one bath (shower or tub), a walk-in closet and a storage/laundry room. The Hibiscus floor plan offers 878 square feet with one bedroom and one-and-a-half baths (shower), a den, and two closets (one walk-in). The Willow floor plan offers 936 square feet with two bedrooms, two baths (one shower, one tub), two walk-in closets, and a coat closet. The Magnolia floor plan offers 979 square feet with two bedrooms, two baths (one shower, one tub), two walk-in closets, and a coat closet. The Maple floor plan offers 1,090 square feet with two bedrooms, two baths (one shower, one tub), two oversized walk-in closets, and a coat closet. Elm (1,219 sq. ft.) The Elm floor plan offers 1,219 square feet with two bedrooms plus a study, two-and-a-half baths (one shower, one tub), oversized walk-in closets and two coat closets. The Cypress suites (not pictured) offer larger living spaces and upgraded bathrooms. There are five unique configurations that vary in size and dimensions. A private tour can be scheduled subject to availability.